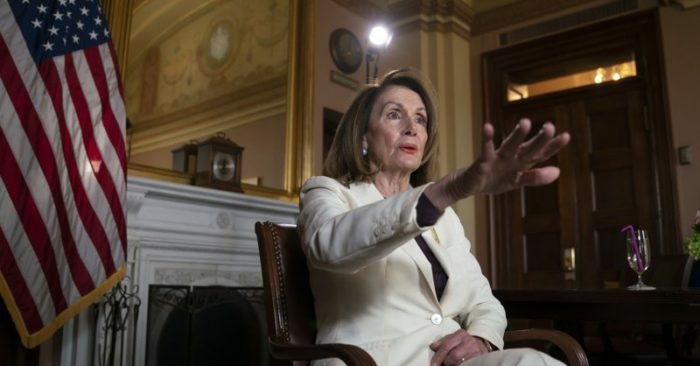 House Speaker Nancy Pelosi contended Sunday that the Democratic agenda has not yet been successful, despite taking control of the House of Representatives three months ago. The comments come in contrast to those of the leadership of the Republican House, who had gathered outside the Capitol days earlier to criticize the lack of accomplishments by Democrats since winning the majority. McCarthy further noted that the House was scheduled to vote on a two-year budget plan, but that Pelosi dropped the vote after her caucus ‘ progressive wing demanded more social program spending and rebelled against the law. Chairman of the Republican Conference, Liz Cheney, who also spoke at the press conference, challenged Pelosi in January for opposing proposals that the speaker recently supported as a way to resist negotiating with President Donald Trump.